Forged Billet Aluminum Vented Rotor Offset Hubs are made from premium grade alloy billets are forged into shape under high heat and pressure, then CNC machined for precise fit on each spindle application. Intended for use with intermediate adapter plates with vented .81” width rotors, but can also be used with aluminum mounting hats for custom applications. 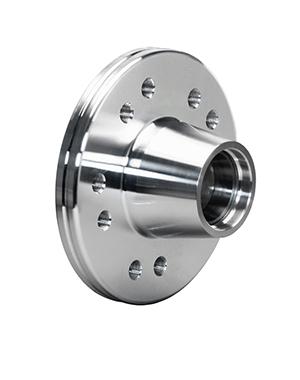 This specific hub is double drilled with a 5 x 4.50" / 5 x 4.75” wheel lug pattern. Hubs include bearing races and screw-on aluminum caps. 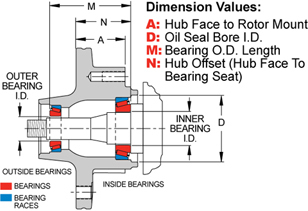 INSTALLATION NOTE: Hub is intended for use with rotor mounting adapters. Can also be used as hat mount hub. Forged Billet Aluminum Vented Rotor Offset Hubs are made from premium grade alloy billets are forged into shape under high heat and pressure, then CNC machined for precise fit on each spindle application. Intended for use with intermediate adapter plates, but can also be used with aluminum mounting hats for custom applications. 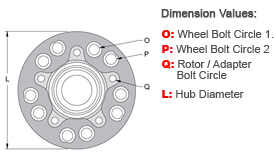 CDP (Chrysler/Dodge/Plymouth) hubs have 5 x 4.00"/5 x 4.50" or 5 x 4.50"/5 x 4.75" wheel lug patterns depending on part number. Hubs include bearing races and screw-on aluminum caps. 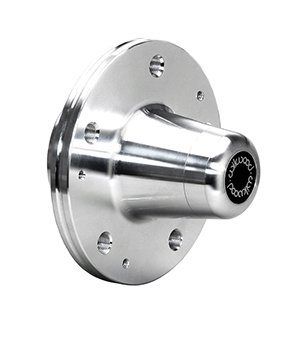 Forged Billet Aluminum Vented Rotor Offset Hubs are made from premium grade alloy billets are forged into shape under high heat and pressure, then CNC machined for precise fit on each spindle application. Intended for use with intermediate adapter plates, but can also be used with aluminum mounting hats for custom applications. Hubs are either single or double drilled from 5 on 4.00" up 5 on 5.00" wheel lug patterns depending on part number. Hubs include bearing races and screw-on aluminum caps. 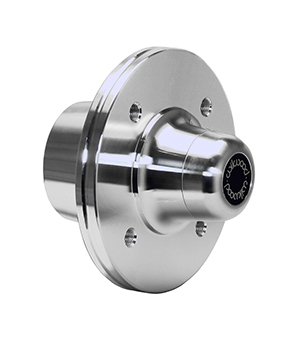 Forged Billet Aluminum Vented Rotor Offset Hubs are made from premium grade alloy billets are forged into shape under high heat and pressure, then CNC machined for precise fit on each spindle application. Intended for use with intermediate adapter plates, but can also be used with aluminum mounting hats for custom applications. 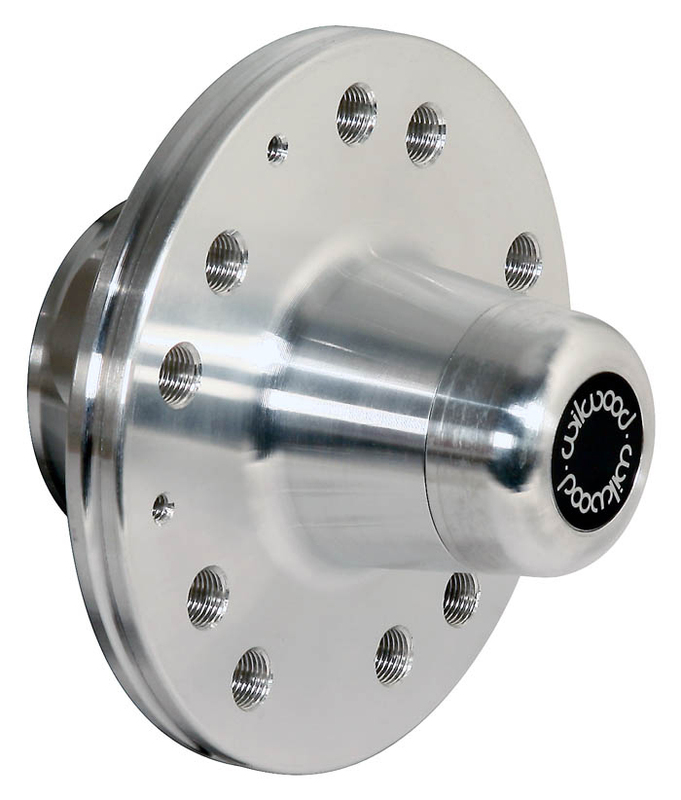 1964-1966 Mustang 6 Cylinder hubs are single drilled on a 4 x 4.50" wheel lug pattern. Hubs include bearing races and screw-on aluminum caps. Forged Billet Aluminum Vented Rotor Offset Hubs are made from premium grade alloy billets are forged into shape under high heat and pressure, then CNC machined for precise fit on each spindle application. Intended for use with intermediate adapter plates, but can also be used with aluminum mounting hats for custom applications. These specific 40-51 Oldsmobile Hubs are single drilled to a 5 x 5.00" wheel lug pattern. 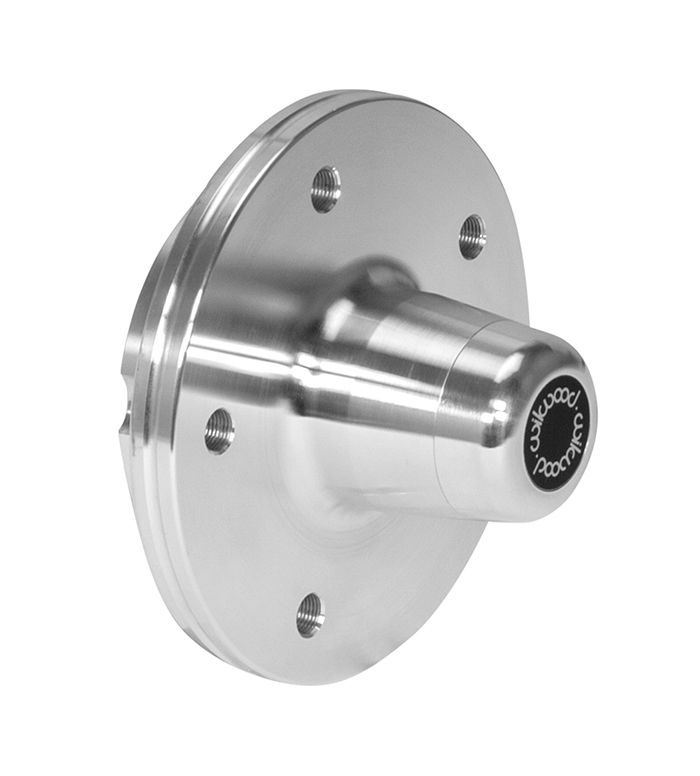 These Hubs include bearing races and use an included press-on steel cap (Part # 270-12403). 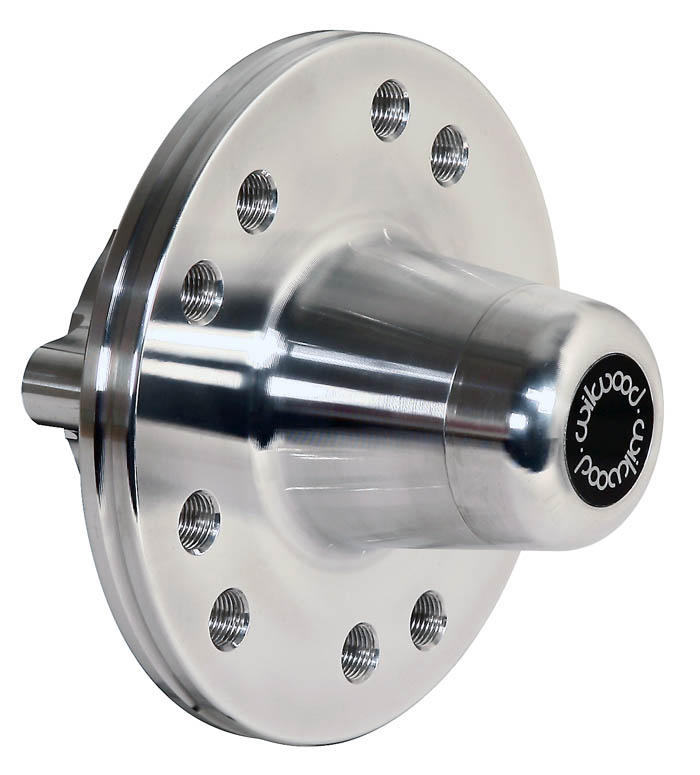 INSTALLATION NOTE: Rotor adapter Hub, can be used as a hat mount hub. 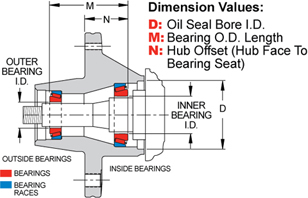 Bearing Cap included. INSTALLATION NOTE: Rotor adapter Hub, can be used as a hat mount hub. Bearing Cap not included.